We grew up with stories from my late father Mel Levine about the many evenings he spent in the jazz clubs of Boston in the 1940s and 50s, hearing the greats and hanging out with the local jazz players. Pa went to Storyville on April 24, 1959 to hear Billie Holiday, taking his camera with him to shoot some photos of the gig. That turned out to be one of her last performances. She died on July 17 of that year in New York. We discovered some of those photos while cleaning out our parents’ house in Boston after my mom passed away in 2013. I posted those photos on this site soon afterwards. A few years later, I received an email from Tracy Fessenden, a professor of religious studies at Arizona State University, who was writing a scholarly book about Billie Holiday, and wanted to use one of those photos for the cover art. My brother and I agreed, and we worked with Prof. Fessenden and her publisher to reproduce the image for her book. 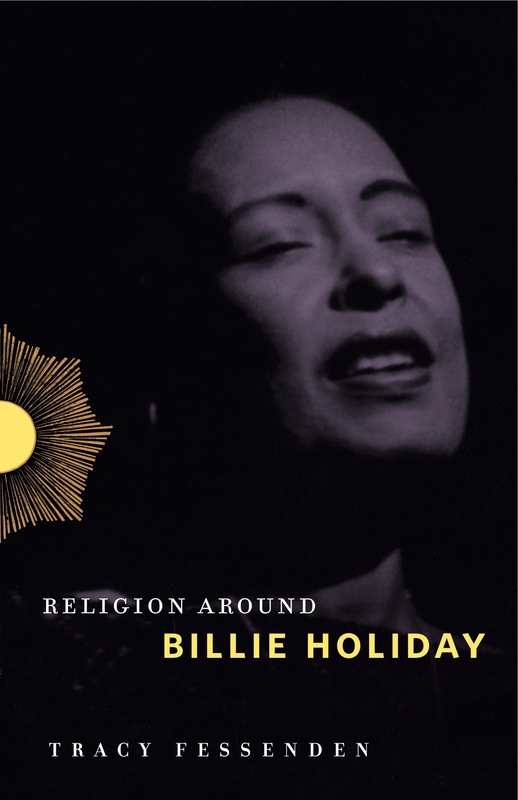 That book, Religion Around Billie Holiday, has just been released by Penn State University Press, featuring our father’s photo on the cover. This is truly a fitting memorial for Mel, a lifelong jazz fan with a special love for the music of Billie Holiday. I’m looking forward to reading it. Next Next post: Lucky So & Sos live!